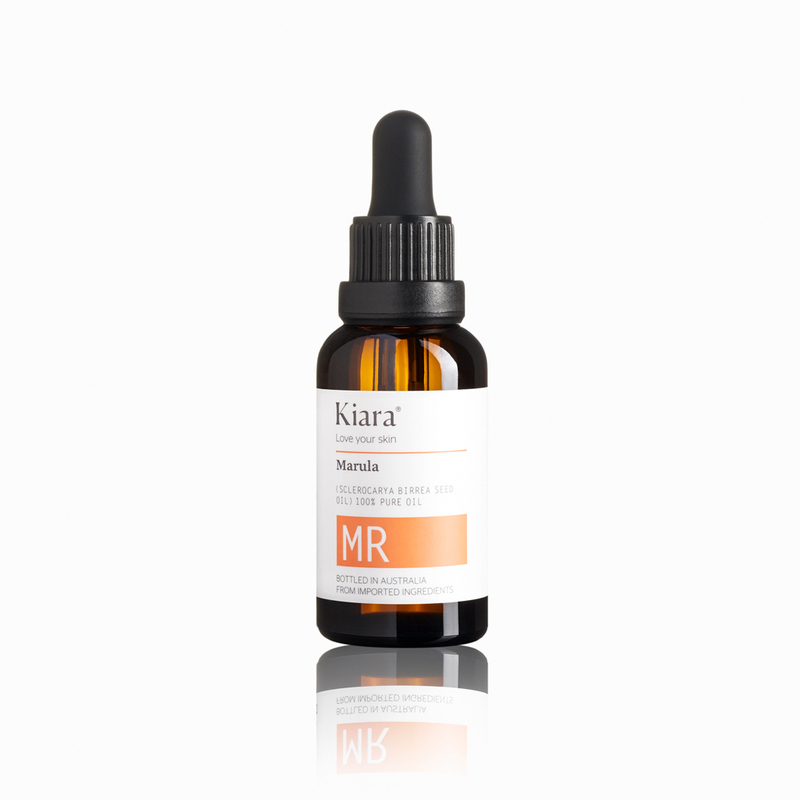 Kiara 100% Pure, Natural Marula Oil is rich in Oleic acid (Omega 9) and Linoleic acid (Omega 6) that deeply hydrate and reduce redness, while nourishing, healing, moisturising and improving skin elasticity. Kiara 100% Pure, Natural Marula Oil is rich in Oleic acid (Omega 9) and Linoleic acid (Omega 6) that deeply hydrate and reduce redness, while nourishing, healing, moisturising and improving skin elasticity. Marula Oil is highly regarded for reducing transepidermal water loss and increasing the smoothness of skin. Marula Oil antioxidants also are known in reducing scar and stretch marks. I never thought I could use an oil on my face! It soaks right in and never feels oily-only soft and moisturised. I use it on my hands, chest, and shoulders. I wish it came in bigger bottles! I always thought that I couldn’t use an oil on my face and this has shown me the light! My skin has changed so much (for the better) since I started using this. I have honestly had people ask me why my skin looks so good. and it’s not oily or greasy looking…it’s healthy! I use this at night with the argan oil and they both sink right into my skin, I wake up glowing! You need these oils in your life! I don’t know how this product feels like oil but on my skin it is super hydrating, just one day my skin feels supple, soft and looks great. I don’t usually write reviews but love this product and the night serum, fan of Kiara now. You won’t be sorry. I’ve tried other face oils, but this is outstanding and far superior! Im 50, and had serious skin issues from thyroid and hormonal imbalances. This oil never caused stinging or burning before my skin was healed. 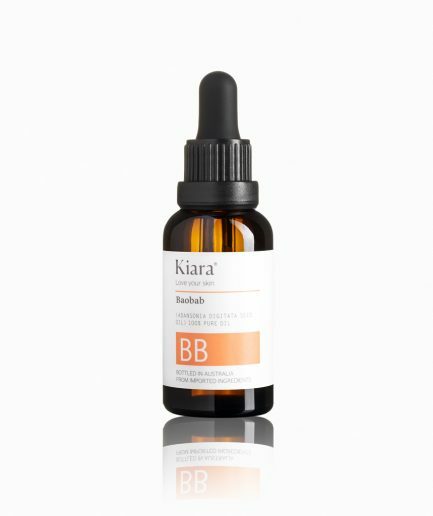 Now that I have used this Kiara oil for a month, my acne is gone, my dark spots are disappearing, and clear, firm, supple skin is returning. I don’t think my skin has been this healthy since my 20’s! These products really nourish your skin, and Kiara Marula Oil is the effective yet gentle hydration that holds it all together. You haven’t used anything like this! Let me start by saying I’m veryyyy critical of skincare products. I’ve been using Kiara entire line (and no other brands) as my skincare routine for about two months now and it has completely transformed my skin. I mostly credit the Marula oil to that. I have very sensitive skin with frequent cystic acne. I still get hormonal breakouts around that time of the month, but otherwise my skin is crystal clear! I’ve been using this for a week now and thrilled with the results! It takes about a minute to absorb so I wait a little bit to put on my foundation. I have noticed that my skin looks so much softer and has a glow to it. More expensive than the leading argan oil products but so much better. Definitely worth the price! Great for sensitive skin. Do not have any side effects. Skin is smooth without all the greasiness and funky smells. A great pure simple oil!!! Luxury is right…it’s so simple and so so effective. At first I was just happy that it didn’t break me out, then to my surprise my skin began to transform! People notice my glow and smoothness all the time now and I’ve slowly integrated more Kiara products into my AM and PM rituals.